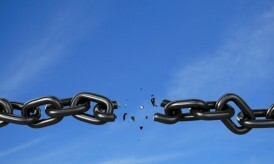 It’s a universal fact that poor back links can ruin your blog rank and makes all hard efforts and work in vain. If you want to boost your blog ranking SERP’s you need to have build natural links from the higher authority sites. The only thing which matters is quality back link. Here we are listing top 5 ways which is most important techniques and most recommended SEO practices for getting top quality back links for your blog. In simple words a gathering. It’s a place where people speaks out about a particular position and discuss about any relevant issues or queries posted by any bloggers. Under your Knowledge of the field there by answering the questions and having a link to your website in your forum profile will help you in getting a high quality back link. It is a place where interaction of minded people comes along. All you need to do I that you have to be an active member in the forum related to your blog, and this will attract more user and bloggers as well. The best tip for this building this type of link is that you need to follow forums. So by doing this you will earn back-links by joining the forums. Join the forum of same niche, which will be more beneficial. Guest blogging is a process where the blog or site owner will publish the blog content written by another. In return, the author will get a link to his/her webpage either this will be included in the author bio or in the article itself. Find out the blogs of same niche where it’s just needed to contact the blog owners through contact forms in their blog to submit a guest-post. If they agree to publish on their blog, then submit your post. This is the procedure of Guest Blogging Request Approval strategy. Check guidelines on how to format your Guest post and how many links are to be included within the post or in the author bio section. Social networking sites can drive you with load of traffic. For creating quality back links by using social networking sites is the great step. Social networks play a basic role in creating quality of back links. Social media sites like Facebook, Twitter, Google+ and LinkedIn are the important places for getting a back links. It is the place where you can promote your blog article to get back link from it. Social media sites have a tremendous impact on search engine rankings. Creating profiles on social networks and placing links on social networks for your website makes it easy for people to find your website or content that you have created. It is the most prominent way of creating backlinks. Commenting on other blogs is having many benefits. 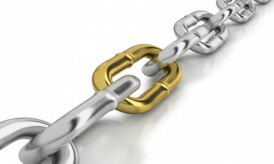 It is the simplest way for building back links for your own blog. Commenting on blogs along with your blog URL will create a back link to your URL, but make sure the blog is “do-follow”. Commenting will improve your reputation and relation with other bloggers. This will just not only help you for creating backlinks, but will also help you for increase traffic. Leave at least 10 comments daily on high ranked blogs same with your niche. Comment on blog which enables CommentLuv. This is the great way to get high quality back links to your blog, just by creating and submitting our blog posts to document sharing sites. The links from most documents sharing sites are also “do-follow”. You can easily do this by converting all your blog posts as PDF files and upload files of PDF to different document sharing sites and thereby leaving back links to your site. 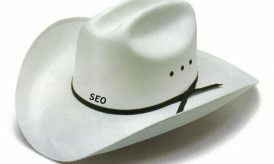 These sites get good ranking in Google SERP. Linking back from a document submitted to such authoritative sites is a good way of earning back links to your blog. So I hope that this article will helpful to you for creating the most attractive backlinks. 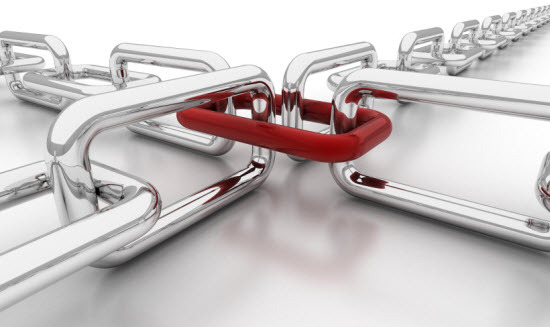 There are many other ways of building back links, and relevant natural links to your blog. Next story Best Pricing Strategies You Must Know! As per Google update 2013, it will be necessary to get high quality back links otherwise your link can’t come on Google 1st page. You mentioned each and every point very clearly. These tips will be beneficial for newbies.